SPOKANE, Wash. - The Pioneer League announced today their season-end all-stars and Player of the Year award winners for the 2018 season. 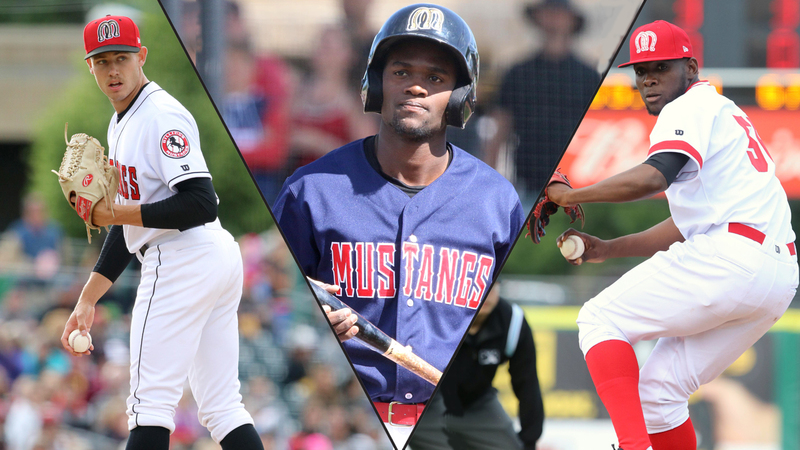 The Billings Mustangs had three players named to the team with Mariel Bautista, Jared Solomon and Luis Alecis receiving the honor. Jeff Limburg was also named the Turf Manager of the Year for the outstanding upkeep of the Dehler Park diamond. Through 72 games, Bautista leads the team with a .325 batting average and 14 steals, good for ninth and sixth-best in the league, respectively. He is also riding the team's longest hitting streak since 2006 with 23 consecutive games hitting safely as of Sept. 2. A fourth-year pro, his power has made some large strides in 2018. After hitting only five combined home runs over his previous three seasons, Bautista has launched eight homers in 54 games this year alone. Luis Alecis, a mid-season all-star for the Mustangs as well, has kept his strikeout total amongst the best in the league all season long. The righty, now in his second year with the team, has totaled 67 strikeouts over 14 starts, compiling a 4.42 ERA in 59.0 innings. Alecis is the only Mustang pitcher to throw 7.0 innings in one appearance this season and has done it on two separate occasions. On July 16, he would compile a career-high 11 strikeouts in seven shutout innings of work and earn the win against the Orem Owlz. Jared Solomon was only with the Mustangs for a little over half the season, but he certainly made an impression that would last the year. Solomon, who was also a mid-season all-star, made his final appearance with Billings on July 31 before his promotion to the Dayton Dragons. In nine starts in the Pioneer League, he would compile 54 strikeouts over 47.2 innings, holding an ERA of 2.27 and what remains a team-high four wins. Despite not having pitched in the league in over a month, his strikeout total is still within 14 of the league lead. In his final outing, Solomon threw 6.0 innings for the fourth time in his nine appearances, striking out eight and allowing just two runs. This is the second consecutive season Jeff Limburg has been named the Turf Manager of the Year.